Wow what a good way to look at it. If I win I would help close family and charity, but the first thing I would do is retire!! That would be mandatory for me! Well hopefully just a few more years for me then I'm done regardless. How about you? (If I can ask). Our office is doing a pool.... so If we were the only winners I'd be walking away with a few thousand Probably an estimated 8-10 Mil depending on the actual jackpot and how many coworkers buy in. Everyone is talking about how if we did, they'd all quit... and there goes the company. If we win, I'll find something to do to keep busy. If we (just wife and I) win the big one with my own separate ticket... I'll help out the family a bunch, donate a bunch, and then go have some fun with my wife somewhere nice in the Caribbean. I'll put an addition on our house, probably buy another one to fit all the future cars (we have a really small yard). As busy as I am now, I'll probably be just as busy. I can't sit still and not be doing something. Buy a ZR1 and put a Honda accord engine in it just to see the reactions. Last edited by sweedjeff; 10-18-2018 at 01:31 PM. Relatively, just buy one ticket. One chance is near infinitely better odds than no chance. But one chance to say, $1000 in chances, odds aren't really better in big scheme of things. When I win this thing, I will make a post on this forum. The first 10 people who reply I will buy them new Corvettes and I will donate $1,000,000 to St Judes. Sweet. Very generous of you! Actually I'll use Robinhood so I don't have to pay the brokerage fees. DUde you now have hundreds of millions of dollars.....you need professional money managers...not robinhood man...lol. Best be fiduciary/fee only advisers. Lot of financial product salesmen are masquerading as financial "advisors" these days. First thing I would do is change my number. Second, move into a gated community so I don't have any surprise visitors. Or even better, go to somewhere far away and stay in a resort/hotel for a few weeks to let things cool off a bit. I dang near never play but I bought a ticket this morning while getting a cup of coffee. I guess that big number became too tempting so I am donating my $2 to it! I'd hire Slo Yelo C5 as my money manager. He's in finance, right? No sweat brother. 3 years and 5 months....but who's counting. No sweat brother. 3 years and 5 months, 12 days and 36 minutes....but who's counting. If I hit the lottery, I don't know what I'd do first. I'd probably give most of the money away to charities, family, and friends. Imagine delivering a billion dollar check to St.Jude's. I rarely buy tickets, but I bought some yesterday. 2 for last nights drawing and 3 for tomorrows. Surprisingly, both my tickets won last night. $12 each. $6 turned into $24 dollars. I'll have to really sit down today and come up with a game plan on the tax implications and what exactly I want to do with it. 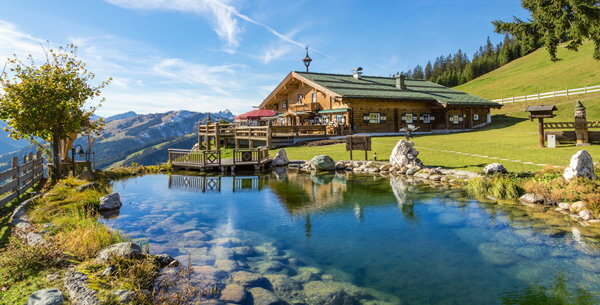 You should PM PKGUITAR for advice on filing Schedule D.
Take the money, say my goodbyes and move to a place like this in Switzerland. Hookers and blow flown in by the helicopter load every weekend. Got to be in it to win it. Will get tickets tomorrow. I have no desire to have that much money. I’d give most of it away.